The Craft Academy is a dual-credit residential high school for academically exceptional Kentucky students. Sixty students from across the Commonwealth are admitted into the program annually, following an extensive application and interview process. While completing their junior and senior years of high school at the Craft Academy, students will also be enrolled as full-time students at Morehead State University, taking classes alongside traditional college students. The academic rigor of the Craft Academy challenges students to excel at their highest level. Study is focused on a core of math and science courses and supplemented by electives in the arts and humanities. Additionally, the Craft Academy offers unique, project-based STEM+X courses designed to enrich students' educational experiences and help them develop competencies in entrepreneurship and innovation, design and creativity, and civic and regional engagement. 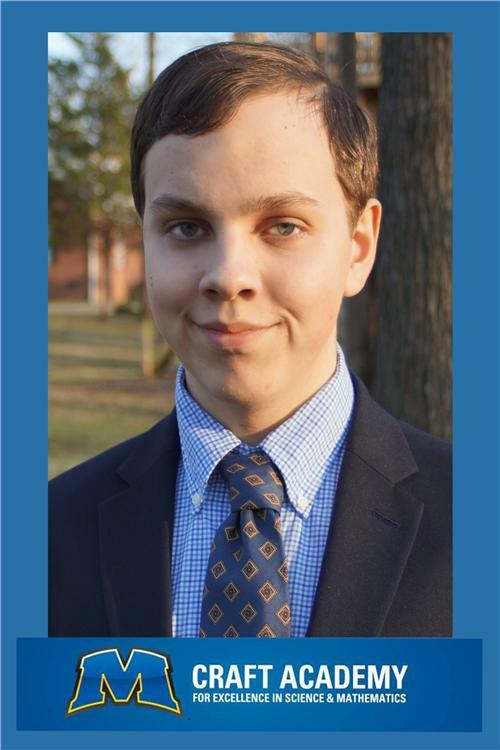 Matthew was also honored to be accepted at the Carol Martin Gatton Academy of Mathematics and Science at Western Kentucky University but has decided to attend the Craft Academy due to his interest in space science. The Ronald G. Eaglin Space Science Center, located at Morehead, has become an important center for research in space science, particularly in the area of nanosatellite technologies. Students and faculty have used the Center's outstanding facilities to develop, test, validate, and operate spacecraft systems. Morehead students are actively involved in designing, constructing, and testing satellites before they are launched into space, as well as monitoring and controlling them after they are launched. Students also have the opportunity to gain real-world experience by providing tracking and telemetry services to Morehead’s aerospace clients.